Dimensions 1.25 by 6 by 8 in. Each issue of the quarterly is completely redesigned. There have been hardcovers and paperbacks, an issue with two spines, an issue with a magnetic binding, an issue that looked like a bundle of junk mail, and an issue that looked like a sweaty human head. 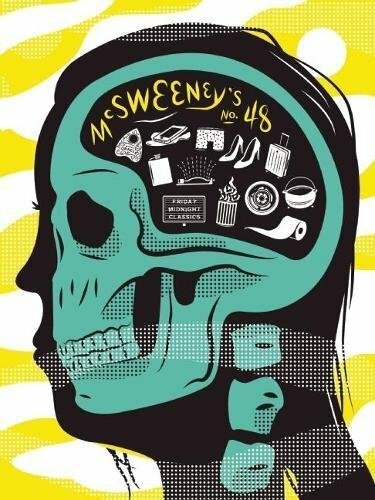 McSweeneyâs has won multiple literary awards, including two National Magazine Awards for fiction, and has had numerous stories appear in The Best American Magazine Writing, the O. Henry Awards anthologies, and The Best American Short Stories. Design awards given to the quarterly include the AIGA 50 Books Award, the AIGA 365 Illustration Award, and the Print Design Regional Award. About: Each issue of the quarterly is completely redesigned.